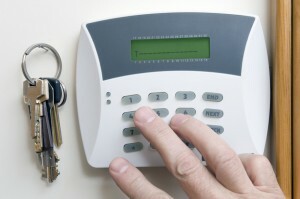 Our house burglar alarms are designed and installed specifically for the premises and the level of threat. Whether it’s your commercial premises or your home and contents, you can be sure that because we install and maintain all of our house burglar alarms to a national standard, everything is being done to ensure your property is as safe and secure as it should be. Therefore you will be free to carry on with all the other aspects of your life – you won’t even notice we’re here! All installations meet the new European Standards BS EN 50131, PD 6662 and BS EN 8243. We are fully conversant with the grading of alarm systems and assessing individual risk. Passive infra-red detectors (or dual-tech detectors) that react to the intruder moving within a room. These are strategically placed to provide the best security possible. If it’s a domestic property with pets, we’ll even include special provision to eliminate false alarms caused by their movements. All these sensors will then be wired in to a main control panel or wireless if needed, which will be controlled by a remote keypad (if required) located in a convenient place. The control panel is connected to an external sounder that generates the audible alarm. This is known as a ‘bells only’ system, i.e. the sounder starts ringing when the intruder alarm system is activated. Our own high-calibre engineers install all commercial SGS intruder and house burglar alarms systems. Each engineer is hand-picked, and subject to rigorous vetting that takes a close look at their last 10 years of employment. This procedure complies with the policy BS 7858, which means that it is acceptable to the Local & National police forces. Our engineers wear SGS uniforms and drive liveried vehicles. They are highly trained in every aspect of security installations – they work quickly and unobtrusively, leaving the premises exactly as they found them. But before they go, they fully test the security system and make sure that you know exactly how to operate it. If you’ve got any questions after that, feel free to contact us. However, we don’t just leave you in the lurch. We provide comprehensive After-Sales and Maintenance support for on-going peace of mind.